Ted Lewis, 36 | Cover Story | Style Weekly - Richmond, VA local news, arts, and events. 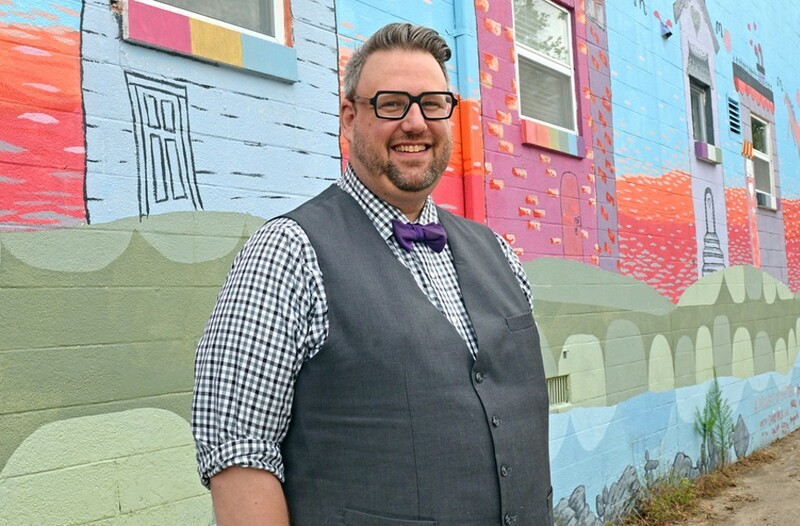 Ted Lewis is the executive director of Side by Side, which provides outreach for the LGBTQ community. A longtime volunteer for the organization says, "I have yet to meet someone like Ted who consistently works to better our environments for queer young people." Free or low-cost therapy sessions and housing assistance are just some of the resources Lewis has delivered to youth in the commonwealth. But Lewis' story really starts in childhood, around a kitchen table. Deep dinnertime conversations sprang from Lewis' mother and stepfather, an interracial couple. "Both of my parents instilled values of empathy, caring for others, and embracing difference," Lewis says. "My hope is to live their example, and that motivates me quite a bit." It took time and determination to apply that example, though. "I wouldn't fully come out and live authentically until college," says Lewis, who recalls being asked to resign from a professional job for being gay. "I want to make sure that no other LGBTQ youth ever has to experience that." Today, Lewis serves as the first associate director of LGBTQ campus life at the University of Richmond. The university is host to one of Side by Side's signature events, called Q Summit, a regional youth conference. With outreach expanding to Charlottesville and Petersburg now, Lewis looks to the words of Ayesha Siddiqi for inspiration: "Be the person you needed when you were younger."